Based on third-party review information, drugs-store-online.com supplied generic medicines to their customers at a very low price. This e-store was CIPA approved which made us believe that it was operating from Canada. They offered different medications but most were under the erectile dysfunction category. One of their special offers was the $60 ED trial pack. 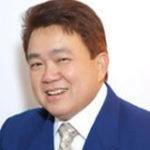 On their page, they also say that their medicines were cheaper by 70% as compared to other drug sources like local drugstores. Why Would the US Government Seize a Canadian Online Pharmacy? One of the theories circulating online was one of the reasons why the US government is operating against online pharmacies. They say that it is a bold move by large pharmaceutical companies to put a stop to the popularity of online pharmacies and their cheap offers. More and more consumers are now finding online pharmacies as a convenient and a cheaper alternative when refilling prescriptions. After finding out about their competition, big pharmaceutical houses have to drop their prices to make their products more competitive as well. However, the best solution would be to just close internet drugstores that offer affordable medications. ICE or Immigration and Customs Enforcement has teamed up with Europol and established Operation In Our Sites-Project TransAtlantic VIII. It tracks online pharmacies among other entities and groups that are known to scam people online. A cybercrime fighting group, they cracked down suspected illegal online pharmacies and closed them down without leaving an explanation aside from the hint that each seized online pharmacy is a potential illegal pharmacy. Now that drugs-store-online has been seized by the US government thru the Operation in Our Sites-Project TransAtlantic VIII, our initial assumption is that this was a fake online pharmacy. We are unable to find its start and close date hence we are not aware as to how long they operated before being shut down. For us to get a better picture of drugs-store-online.com, we decided to check for customer reviews. 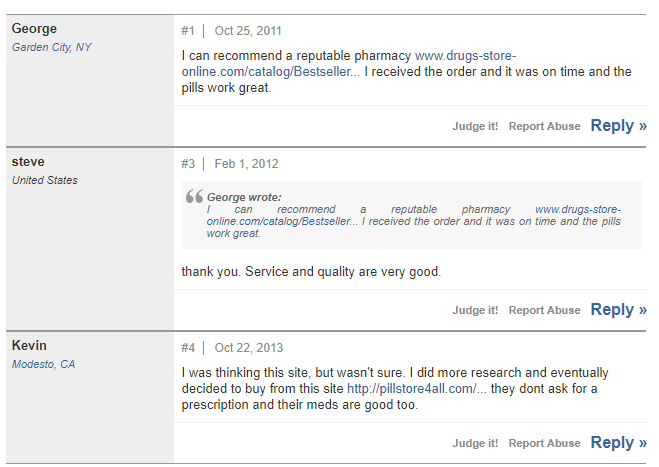 In 2011, a review shared by George said that drugs-store-online was such a reliable online pharmacy after receiving a working pill. The said review was answered by Steve after 5 months. Steve said that he did try the website and he also receive quality pills. After a year, another guy named Kevin wrote on the thread about drugs-store-online.com only to plug in a website called pillstore4all. He said he finds the website reliable and the pills were good too. With this review, perhaps the rumor about the reason why online pharmacies are being shut down is true – maybe some big pharma companies are being threatened by the increasing popularity of online pharmacies. As drugs-store-online.com is not operating at the moment, we are unable to find new reviews. The website is totally inaccessible and it only shows the ICE-Homeland Security Investigation warning. After searching the web thoroughly for coupon codes that Drug Store Online might have released, we eventually gave up as we found none. We also tried to search for perks or promotions that they might have run to no avail. Drugs-store-online.com was a Canadian online pharmacy seized by Europol thru the initiative of ICE and Homeland Security Investigation. This agency has the power to shut down websites that are deemed to be selling fake or counterfeit products and that includes medications. As of this writing, there is not much information about drugs-store-online.com on the web. ICE seized online pharmacies that are deemed to be doing illegal activities and yet they do not offer an explanation or present pieces of evidence when doing so. With some good reviews from the last 7 years, we cannot completely say that drugs-store-online.com deserves to be seized. Hopefully, Homeland Security Investigation would also leave a comment or an explanation whenever they shut down an online pharmacy.